We are very happy with the results of small planet energy’s installation of our solar grid-tie system. They liaised directly with BC Hydro, so getting it up and running required minimal paperwork on our part. The system is working now, and the ability to monitor our power production “on line” is both fun, and, an incentive to further improve our energy efficiency. We were referred to the owners by past customers because they were interested in a renewable system for their lake side home. 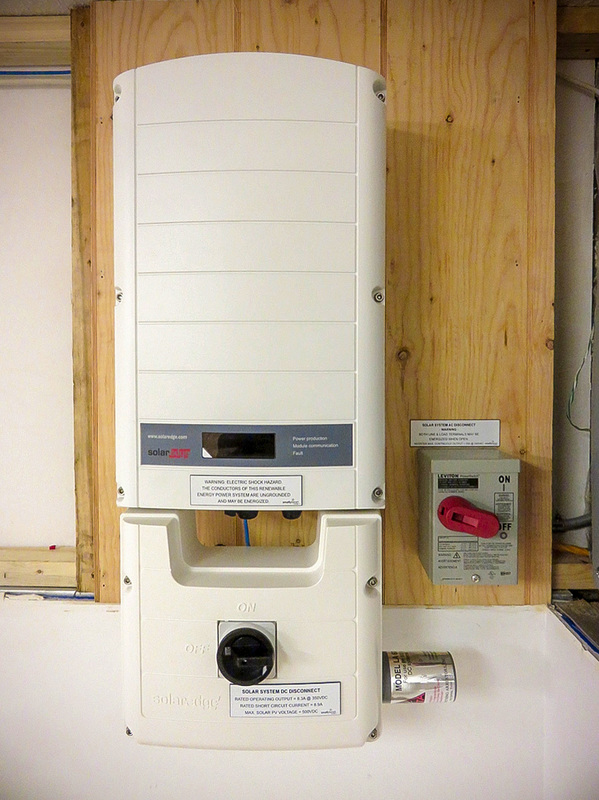 They wanted to reduce their overall power consumption as well as install a system that was easily expandable. Solar access at the site was a bit tricky, we needed to move the array farther away from the home than we expected, about 250 feet. With a budget in mind we recommended they install and 4kw ground mount grid-tie PV system using Solaredge inverter and power optimizers. This system is easily expandable to 6kw with provisions to go even larger. 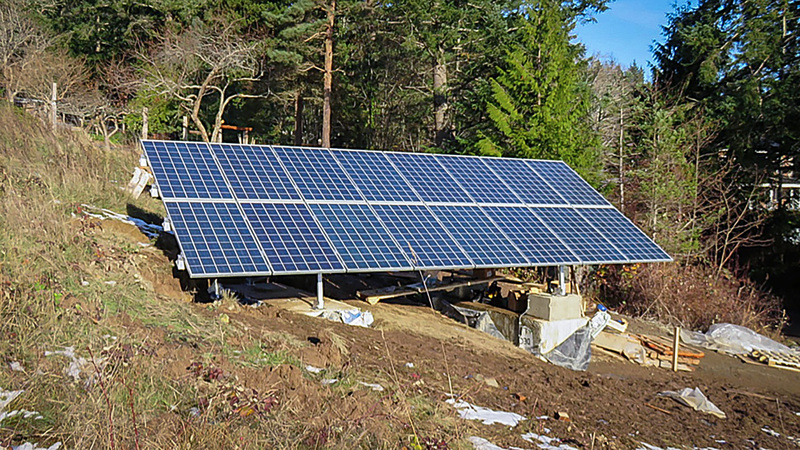 The Solaredge system acts like a micro-inverter system with many advantages one of which being the high voltage it operates at. This allows for the array to be easily 250 away from the home while still using small wire and keeping costs down.